The Goods and Services Tax (GST) bill was passed with a full majority in the Lok Sabha on March 29, 2017, and on April 6, 2017, in the Rajya Sabha. President Mr. Pranab Mukherjee on April 11, 2017, signed GST bill and made it a law, introducing the biggest indirect tax reform in India. The expected rollout date of the GST was April 1, 2017; however, it is now scheduled to be implemented from July 1, 2017. At present, the structure of indirect taxes in India is very complex as there are many types of taxes levied by the Central as well as State Governments of India on goods and services. Some examples are - Entertainment Tax on movies, Value Added Tax (VAT) on products and services, Excise Duties, Luxury Tax, Import Duties, Service Tax, Central Sales Tax, and so on. Wouldnât it be convenient for both of the buyers and sellers if there is just one unified tax rate in India instead of multiple taxes? 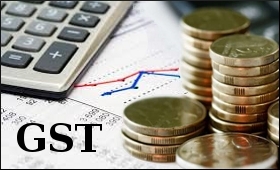 GST (Goods and Services Tax) is a âsingle taxationâ system which is expected to abolish all forms of indirect taxes on goods and services in India. Any individual, who is supplying, providing or consuming goods and services, has to pay GST. It is collected at each stage of the supply chain on value-added goods and services. Once implemented, the manufacturers, wholesalers, retailers and consumers will have to pay the applicable GST rate. They can claim it back too, via tax credit mechanism. GST is levied at the place where consumption of goods and services takes place. It can be charged on inter-state movement of goods and services, and intra-state consumption and supply of goods and services. 0% Tax Rate: It includes commodities like food grains, wheat, rice, etc. 5% Tax Rate: It includes the products of mass consumption such as tea, spices, mustard oil, etc. 12% Tax Rate: It includes processed food items. 18% Tax Rate: It includes items such as oil, soaps, toothpaste, refrigerator, smartphones, etc. Tier 1: Flat 28% - It includes white goods and cars. Tier 2 : 28% plus cess - It includes sin products such as luxury cars, pan masala, tobacco products, and aerated drinks. Standardised Tax: GST will replace about 17 indirect taxes which will result in a reduction of compliance costs and a simple and lean tax structure. A Common Marketplace: Currently, the Indian markets are fragmented along state lines, pushing costs up by 20-30%. With a single tax, there will be the formation of a common marketplace. Investors' Interest: Full input tax credit means a drop of 12-14% in the capital goods' cost. With the said rate, the capital goods investment is expected to rise by 6%. Cut in Logistics and Inventory Costs: The cost of logistics and inventory will fall as currently, state border checks slow down the movement of goods. With lower logistics and tax costs, manufacturing of goods too could become cheaper. The Less Developed States Will be Benefited: Currently, the inter-state levy is 2%, which means that production is usually kept within a state. However, the GST will help in creating more opportunities for less developed states. Boon for E-commerce: E-commerce has been largely affected negatively due to state restrictions and levies online. Due to such restrictions, some sellers don't prefer shipping their products to particular states. However, GST will end this issue. Consumers at Benefit: Consumers can benefit in the long run, as the lower tax burden may result in lower prices of goods and services. Claim GST tax credit: The manufacturers, wholesalers, suppliers, and retailers will be able to recover GST as tax credits. This will lead to a reduction in the cost of doing business, hence, offering a fair cost to consumers. GST is expected to turn India into a national common market and provide the ease of doing business with a big reduction in logistics costs across all sectors. While some companies will gain, others could lose with the GST rate. The GST Bill has been passed by the Lok Sabha and is expected to impact every industry and consumer significantly if implemented. Apart from unifying the current taxation system and bringing the majority of taxes under one umbrella, it will also boost the Indian economy. Buying a car will become more affordable for the common man as the price will remain uniform everywhere. Currently, a basic LED TV comes at about INR 20,000 with 24.5% tax, increasing the total cost of INR 24,900. As GST will be in the range of 18-20 %, buyers will pay approximately INR 23,600. Movie tickets could become cheaper as Entertainment Tax is likely to fall by 2-4%. Processed foods could become relatively inexpensive as processed food manufacturing companies might have to pay 17-19% GST instead of various taxes that add-up to 24%-25%. The tax for cement will be reduced to 18-20% from existing 25%. And with a decrease in logistics cost, the price for cement will go down further. Dining out will become expensive as currently, you have to pay 18.5% as Service Tax and VAT, and GST rate is expected to be fixed at 18-20%. Currently, consumers pay 15% Service Tax on their phone bills; with 18% GST, the cost will go up. Gold jewellery prices are all set to increase as the buyers pay only 2% tax right now, but after the implementation of GST, they might be paying at least 6% tax. Banks and insurance companies are taxed at 14.5% for services offered by them; with GST the standard rate may become 17-18%. Air tickets too might become expensive with the implementation of GST as Service Tax on air fares may shoot up to 15-17% from existing 6%-9%. With the emergence of a common national market, consumer-driven states shall benefit. GST is expected to give a huge push to Make in India and deliver the ease of doing business in the country. With GST, Foreign Direct Investments (FDIs) are sure to go up; further fuelling the growth story of India as a global market. Sir, I am running an SME with printing machines. Could you please let us know what would be tax structure for printing , as you are aware printing has many usages , some are as follows: 1. News paper and magazines , wedding cards, greeting cards, visiting cards-, buntings , text books , note books , novels ,chq books are of common man usage 2,Posters ,banners , bill boards : advertising 3.Tickets ( air, bus , train ,cinema etc) 4. wall murals and papers are for both commercial and common man The reason I am bringing this question , in some cases , same machine or same units has ability to do both commercial and common man usage printing. I urge you to let me know , under which slab printing does it fall .